Chris McCaw. Sunburned GSP#360 (Pacific Ocean), 2009. Reproduced from Chris McCaw: Sunburn. Richmond, VA: Candela, 2012. Concurrent with Moholy-Nagy: Future Present, this exhibition highlights experimental photography's collaborations with light and time, and the simultaneous generosity and violence of the sun. Commencing with a reproduction of H. Fox Talbot's six-installment publication The Pencil of Nature, this exhibition emanates from his definition of photographs as "photogenic drawings" generously "impressed by the agency of Light alone," an interpretation that draws attention to the indexicality and medium-specificity of photography and its fundamental qualities: light and time. 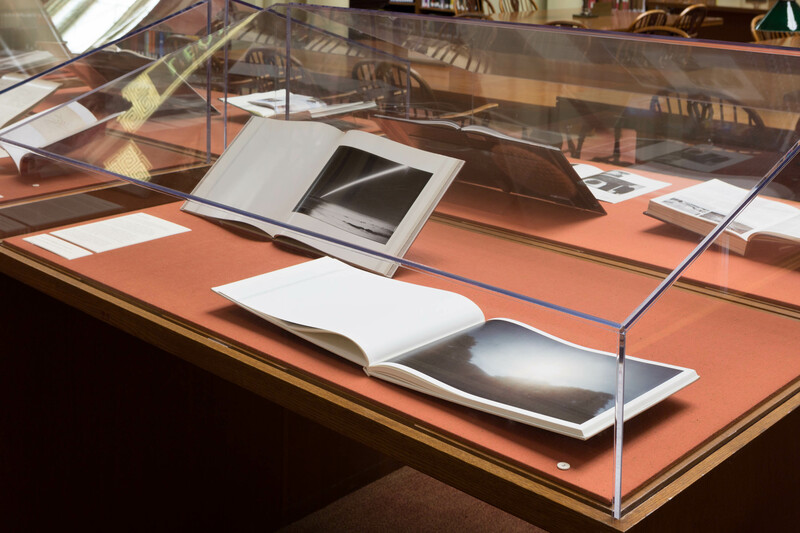 Featuring books and periodicals on experimental photographers Chris McCaw and Charles Ross, who both collaborate with the sun, encouraging a concentration of the sun's light and heat through lenses to burn marks into film and wood, respectively, evidencing the sun's destructive capabilities and its ability to author its own marks. Two editions of Kikuji Kawada's The Map document the violent "black stain" effect of the "intense sunlight of Hiroshima" produced by the Atomic Bomb. These are accompanied by an anonymously created book, which speaks of a black sun that lives within the center of our planet. 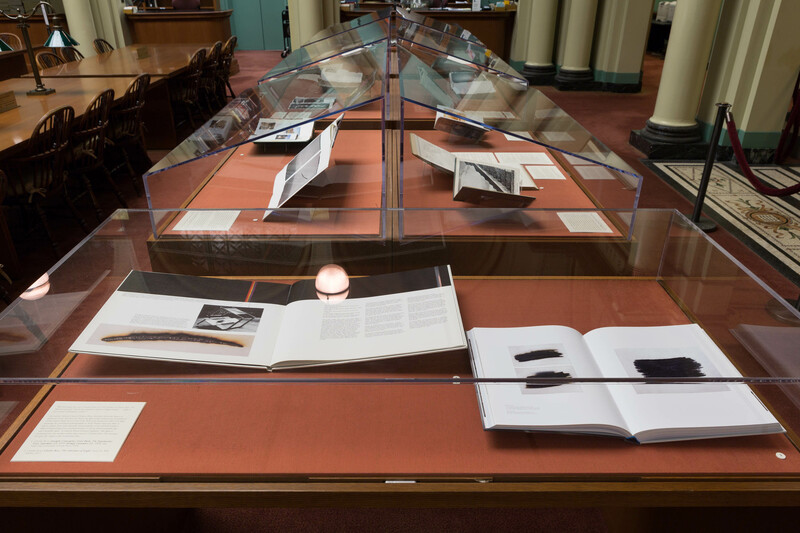 Books documenting László Moholy-Nagy's light sculptures are represented alongside representations of Otto Piene's installation The Proliferation of the Sun, detailing how mid-20th century artists harnessed electric light within time-based performances to elicit the sun's energy and vibrance. Finally, connections are made with a collection of books depicting the solar writings of Kukulkán at Chichen Itza, the mythic son of the sun Akhenaten, and album covers of the jazz musician Sun Ra, who composed music of the sun with his Solar Arkestra. 1. Hiroshi Yamazaki, Heliography. Tokyo: Seikyusha, 1983. 2. Rika Noguchi, The Sun. Shizuoka-ken: IZU Photo Museum, 2009. Rooted in William Henry Fox Talbot's (1800–1877) definition of photography as "photogenic drawings" which are "impressed by the agency of Light alone," this exhibition draws attention to the indexicality and medium-specificity of photography as light writing and encourages an expanded perception of photography that could include sculpture, performance and installation art, architecture, and sound. 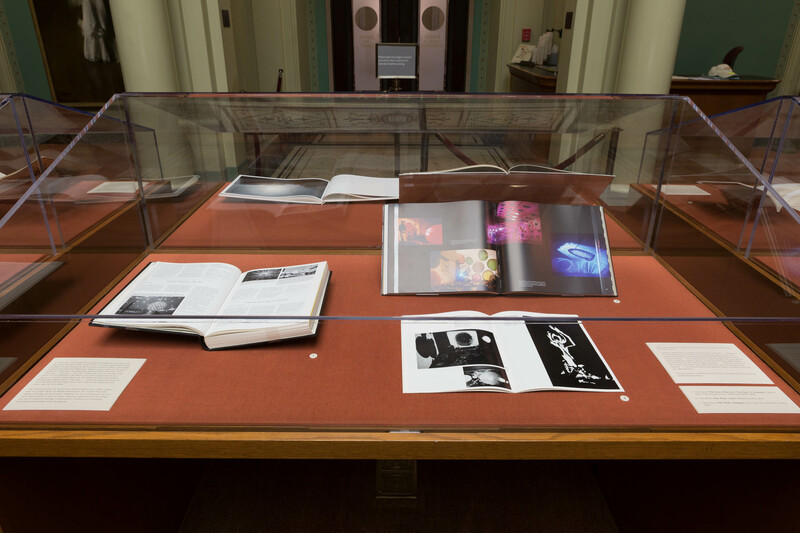 Additionally, this exhibition concentrates on light writing conducted specifically by the sun, the original author of photography. Heavily influenced by the French writer and philosopher Georges Bataille's (1897–1962) description of solar energy in his theory of economy as described in The Accused Share as well as the Swan's track "I Am the Sun" (The Great Annihilator, 1995), photography is presented here as evidence of the superabundance of energy which the sun obliviously emanates, manifested as art or destruction, gifts or curses. Solar energy is the source of life's exuberant development. which dispenses energy—wealth—without any return. The sun gives without ever receiving. -- Georges Bataille, The Accursed Share: An Essay on General Economy, 1991. 1. William Henry Fox Talbot, The Pencil of Nature. New York: H.P. Kraus, 1989. no. 1. This is a facsimile edition. 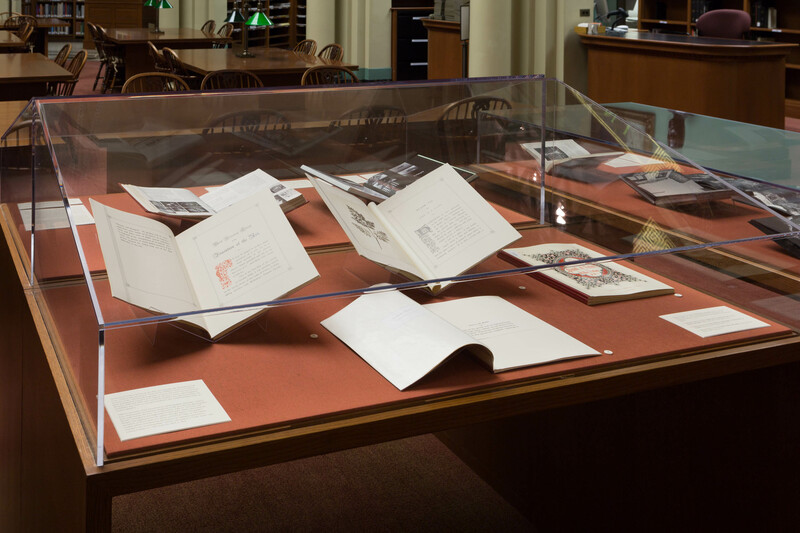 The Ryerson and Burnham Libraries’ copy is number 87 of 250 printed in the facsimile edition. 2. William Henry Fox Talbot, "Plate VII: Leaf of a Plant," in The Pencil of Nature. New York: H.P. Kraus, 1989. no. 2. 3. William Henry Fox Talbot, Note to the Reader, in The Pencil of Nature. New York: H.P. Kraus, 1989. no. 3. 4. William Henry Fox Talbot, The Pencil of Nature. New York: H.P. Kraus, 1989. Cover, no. 6. 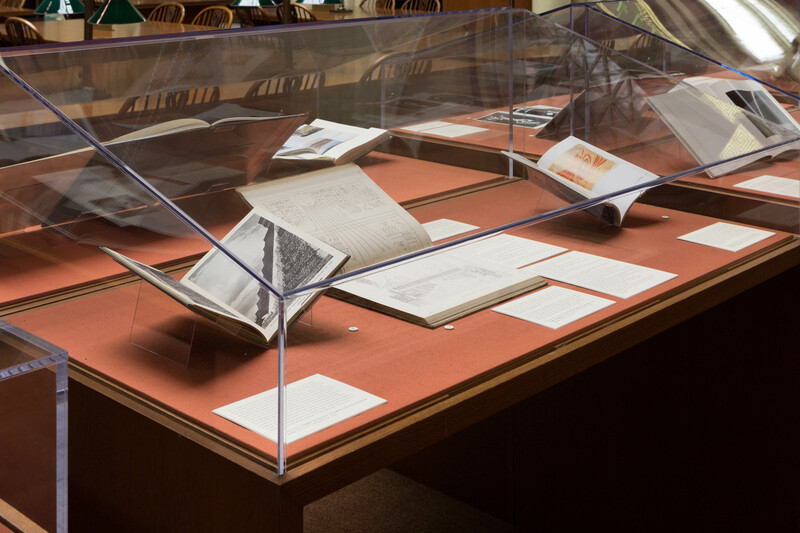 The Pencil of Nature is known as the first photographically illustrated book to be commercially produced. Authored by William Henry Fox Talbot, inventor of the calotype photographic process, the book was issued in six parts published in London by Longman, Brown, Green, and Longmans between 1844 and 1846, and was freely available through bookstores. 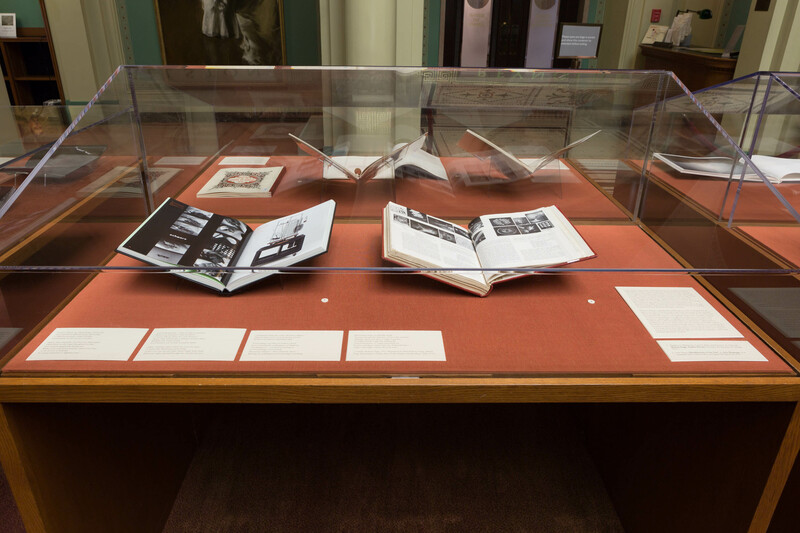 Its availability was vital to a broader familiarity and understanding of the art of photography. Talbot's accounts of his inventions in “photographic drawing,” written here, demonstrate an extreme sensitivity to the fact that the photographs were authored by the sun—as evidenced by Talbot's "Notes to the Reader" included in the beginning of each issue, which stated that the images "are impressed by the agency of Light alone." The public's reception of this is clear in a review of Pencil of Nature in The Literary Gazette, which described the illustrations as "genuine sun-pictures (Apollo's own workmanship)" and the sun itself as a "Solar Artist" (The Literary Gazette, no. 1432, June 29, 1844, p. 410). 1. Unknown author, Transcendental Geology. Unknown publisher, Unknown date. Private Collection. 2. 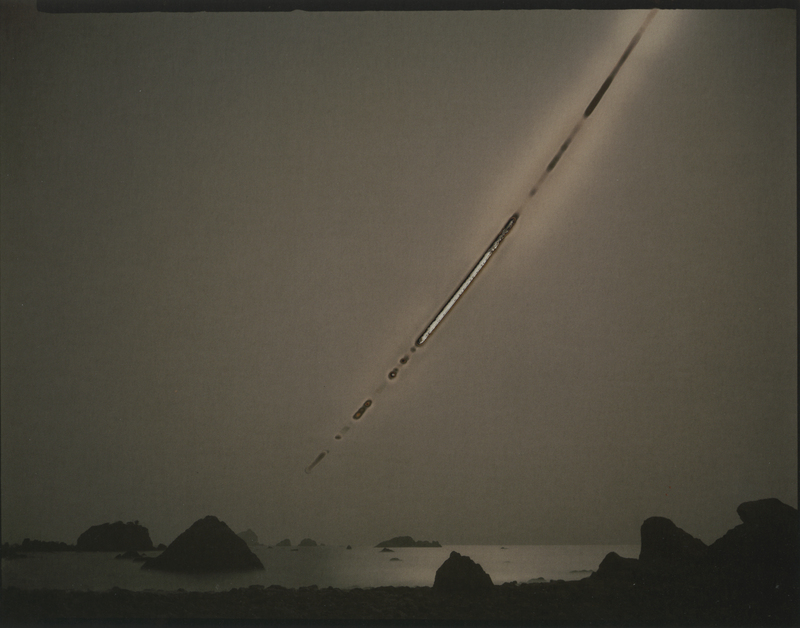 Kikuji Kawada, Chizu (The Map). Tokyo: Akio Nagasawa Publishing, 2014. 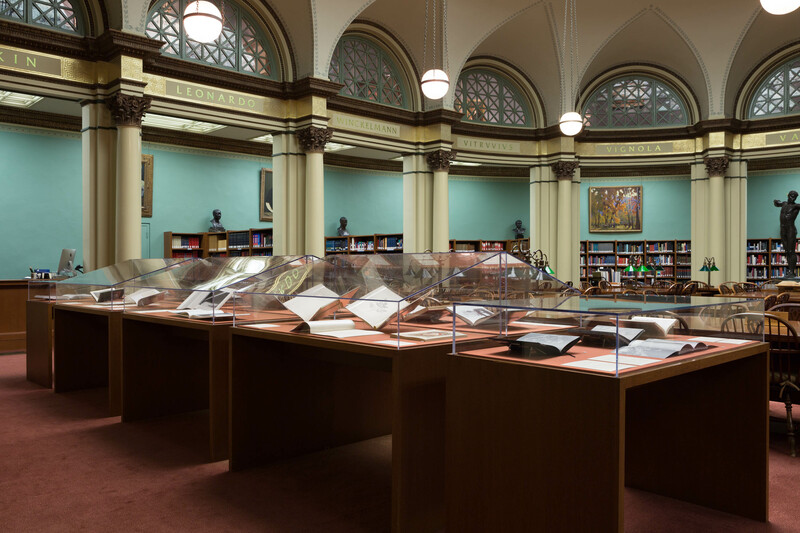 Ryerson and Burnham Libraries have copy number 400 of 600. 3. Kikuji Kawada, The Map. Tucson: Nazraeli Press, 2005. 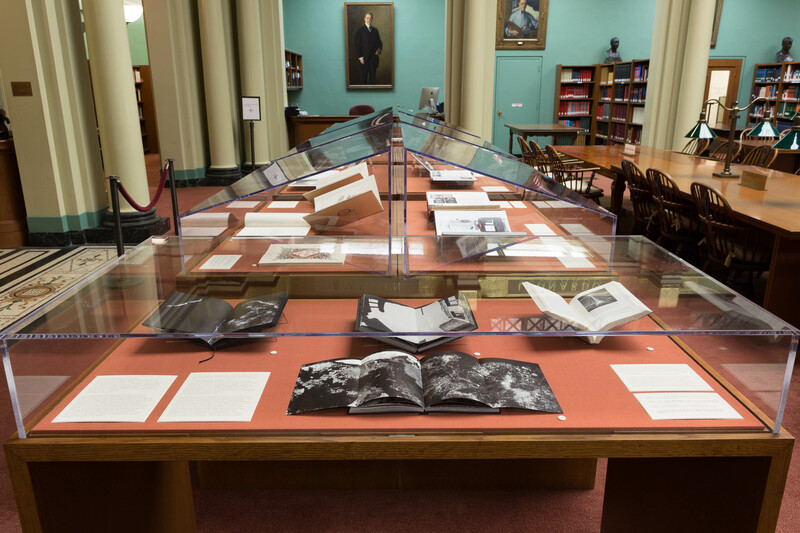 Ryerson and Burnham Libraries have copy number 364 of 500. 4. Douglas Kahn, Earth Sound Earth Signal: Energies and Earth Magnitude in the Arts. Berkeley: University of California Press, 2013. ‘Physics has taken a bad path,’ he wrote. . . .
Did he foresee the forces locked within the heart of the elements? . . . Does one stop the compulsion to defeat? . . . In our culture . . . the neurosis of glory is the first served, . . .
no, this descent into the Underworld. the old and new thanatocracy, the power of and through death. . . .
One does not stop this volcano, its lava flow and rain of ash. One climbs the sides of the crater; falls into the chimney. “Kid, they dropped atom bombs. But a flash of light filled the stadium, flared over the stands in the southwest corner of the football field, as if an immense American bomb had exploded somewhere to the northeast of Shanghai. The sentry hesitated, looking over his shoulder as the light behind him grew more intense. It faded within a few seconds, but its pale sheen covered everything within the stadium: the looted furniture in the stands, the cars behind the goalposts, the prisoners on the grass. They were sitting on the floor of a furnace heated by a second sun. –J.G. Ballard, Empire of the Sun, 1984. The Atomic Age began at exactly 5:30 Mountain War Time on the morning of July 15, 1945, on a stretch of semi-desert land about 50 airline miles from Alamogordo, New Mexico. . . .
the light of many suns in one. —William L. Laurence, The New York Times, September 26, 1945. On October 27, 1945 a theatrical reenactment of the atomic bombings was staged at the Memorial Coliseum in Los Angeles—including pyrotechnics, a 16-foot wide color wheel, projections, and nearly a hundred 800-million-candlepower lights. It was a spectacle of light to celebrate the end of World War II and Navy Day. The event, titled Tribute to Victory, was performed for at least a hundred thousand spectators (echoing a count of those who died in Nagasaki by the end of August). Moholy-Nagy: Future Present. Chicago: Art Institute of Chicago, 2016. 2. Otto Piene, “Proliferation of the Sun” in Arts Magazine, 41.8 (Summer 1967). New York: Art Digest Incorporated, 1967. Learn to know the Light-design of your life. You will find it different from chronology. Proud battle for the secrecy of order. Space, time, material—are they one with Light? Dependent on the Light that gives you life? So utterly unknown to lightless eyes. Search desperately—what is Light as essence? What is its substance, what its price? I cannot kill my thirst nor even lessen it. Space, time and system—essence or mere chaos. For creatures not eternal, bound by death. Light, ordering Light, where are you? Far away. A luster that illuminates mere being. Ferocious Light, spread through me, cleanse my eyes. A dampish tomb, the earth will then collapse. If we maintain the nothingness of darkness. If “Everything” is us denied. Resting on nothingness and meaning everything. To Light eternal, Light the striding life. Light, total Light, creates the total man. Reprinted in Sibyl Moholy-Nagy, Moholy-Nagy: Experiment in Totality, 1950. László Moholy-Nagy (1895–1946) invented the kinetic-light instrument Light Prop for an Electric Stage (or Light-Space Modulator) between 1926 and 1930. He had written about it years earlier: “I dream of a light-apparatus, which might be controlled either by hand or by an automatic mechanism by means of which it would be possible to produce visions of light, in the air, in large rooms, on screens of unusual nature, in fog, vapor, and clouds.” [László Moholy-Nagy, “Light Architecture,” Industrial Arts 1:1 (Spring 1936), 15-17.] The machine was a tool used to create the artwork, light writing through space—the energy, the immateriality, and expansiveness of light, as illustrated in these reproductions of his 16 mm film Ein Lichtspiel, schwarz weiss grau, 1930. A DVD of the film is available in the Ryerson and Burnham Libraries’ collection. Whether directly or peripherally influential to artists working in electric light in the 1960s, Moholy-Nagy's Light Prop became part of the essential history of light art, as evidenced in Otto Piene's (1928–2014) article from this Summer 1967 issue of Arts Magazine. Here Piene describes a shared interest in the performance of light but emphasizes how artists of his generation utilized light to highlight the performative nature of the medium and to elicit the participation of spectators: "Light comes to presence in our work." Piene even cites the martial use of light used in World War II, most notably through atomic explosions, but counters his generation's personal history of this violence with an interest in utilizing technology and intense light displays to heal people with sun energy in a peaceful way, illustrating how light can be used to emphasize rather than diminish spectators' freedom. 1. Otto Piene, “The Sun—The Sun—The Sun,” in Leonardo. Oxford; New York: Pergamon, 29.1 (February/March 1996). 2. Otto Piene, Otto Piene: Licht. Bielefeld: Kerber, 2015. 3. Otto Piene, Otto Piene: Elements. New York: [Howard Wise Gallery], 1969. In 1967 Otto Piene (1928–2014) performed Proliferation of the Sun at the Black Gate Theater in New York. It was a 35-minute performance with multiple Carousel projectors, 800 translucent painted slides, a neon-bulb sculpture that projected filamentary images, 12-foot balloons, the sound of blowers, and a tape recording that repeated Piene’s rhythmic chant: "The Sun . . . The Sun . . . The Sun." These lyrics are also the title of an article of "sun expletives" that Piene wrote for Leonardo journal for a segment on SolArt Global Network. His obsession with solar energy is perhaps best captured here: "The artist . . . chases the beauty that you can reach through. He may forget about man-made beauty altogether and look to the sun for a while." The tension between the benevolent and destructive uses of light energy does not escape Piene. As Bataille described in The Accursed Share, this surplus of energy can be stored or released—in our contemporary age it is most often released in war, but Piene maintains optimism that this energy can also be redirected through collaborations of nature and technology and released in beneficial ways through art. "The blue sky had been a symbol of terror in the aerial war. . . . As gunner at a four-barrel flak, surrounded by detonations, at night I used to see tracers draw their lines, hectically beautiful. But fear came before beauty; seeing is aiming. . . . The exploding atom bomb would be the most perfect kinetic sculpture, could we observe it without trembling. Fright inspires inventiveness and gives birth to giant monsters. . . . Might we trust in the fact that the sun makes roses grow and, at the same time, feeds power stations? . . . The real sun burns and singes; an artistic synonym of the sun can calm and heal." 1. Leah Ollman, “Black Hole Sun” in Art on Paper, volume 13.5 (May/June 2009). New York: Fanning, 2009. 2. Chris McCaw, Chris McCaw: Sunburn. Richmond, Va.: Candela, 2012. "We live inside the sun," Charles Ross (b. 1937) writes in Charles Ross: The Substance of Light. "Inside an expansive matrix of light energy . . . Light is our source of intimate contact." 1. Charles Ross, Sunlight Convergence Solar Burn: The Equinoctial Year, September 23, 1971 through September 22, 1972. Salt Lake City: University of Utah Press, 1976. 2. Charles Ross, Charles Ross: The Substance of Light. Santa Fe, NM: Radius, 2012. As seen in Talbot's Pencil of Nature, Ross describes his Solar Burns as portraits of the sun that are drawn by light itself, without the interference of the artist's hand. Ross's first Solar Burn was created in 1969. Can light drawings be considered photographs as well? Rather than use film or photo paper, Ross uses specially treated planks of wood held within a framed magnifying lens, a primal camera, to focus and materialize the sun's invisible light. As curator Klaus Ottman explains, "the light is projected into the surface rather than onto it." (Charles Ross: The Substance of Light, 42). Light is also sometimes fire. 1. 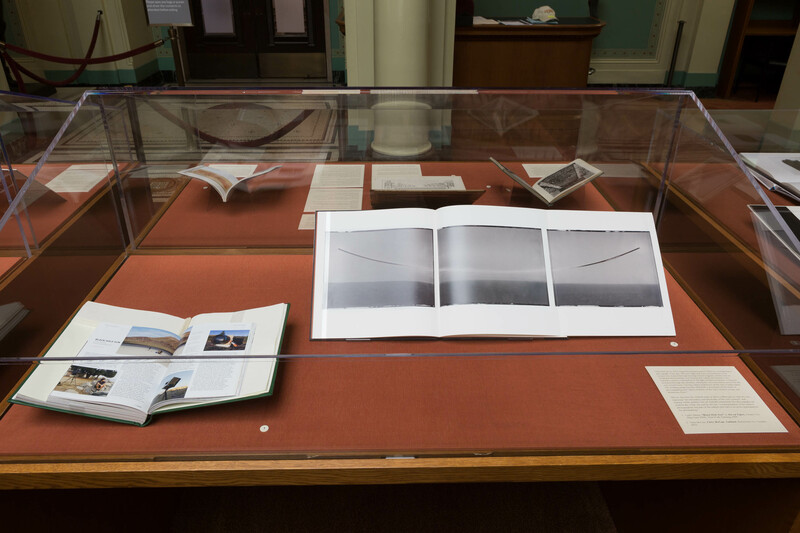 Laura Gilpin, Temples in Yucatan: A Camera Chronicle of Chichén Itazá. New York: Hastings House, 1948. 2. Norman de Garis Davies, The Rock Tombs of El Amarna: The Tomb of Meryra. London: Sold at the Offices of the Egypt Exploration Fund, 1903. Vol. 1. 3. John Corbett, Anthony Elms, and Terri Kapsalis, Pathways to Unknown Worlds: Sun-Ra, El Saturn, and Chicago's Afro Futurist Underground 1954-68. Chicago: WhiteWalls, 2006. The Temple of Kukulcan, a step-pyramid at the center of the Chichen Itza, Mexico, is a Mesoamerican example of archaeoastronomy. Built by the pre-Columbian Maya civilization around 800 CE, it is a temple to the god Kukulcan, the feathered serpent deity. During the spring and fall equinoxes, the shadow cast by the angle of the sun over the edges of the nine steps of the pyramid, combined with the stone serpent-head carvings at the base of the balustrade, creates the illusion of a massive serpent descending the pyramid. Performative interactions with light, which are revealed through alignments with the sun’s motions during specific calendar times, are frequently found within sacred architecture where religious rituals are carried out. Could these be considered photographic rituals? Archaeoastronomic sites similar to the Temple of Kukulcan are referenced in the artistic writings of Otto Piene and Charles Ross. During the reign of the pharaoh Akhenaten (1353–1337 BCE), the living Aten—"the mysterious life which gave movement, energy, creative and beneficent power to the Sun [Ra]." [Norman de Garis Davies, The Rock Tombs of El Amarna: The Tomb of Meryra]—became the cornerstone of a revolutionary religious doctrine. Aten was described iconographically as the solar disk that rose and sank between the two horizons. Aten communicated through his beams (septet), his beauty (neferu), and his love (merit)—corresponding to the sun's emission of life energy, bestowal of color and sight, and beneficent or destructive heat. Akhenaten was hailed as the son of Aten. At el-Amarna, in the tomb of Ay, the god's father and the chief priest, we find the "Great Hymn to the Aten," the authoritative prayer of the Atenist vision, believed to have been written by Akhenaten himself. Parts of this inscription were greatly mutilated in 1890, but a full and complete copy of the composition was made in 1883-84 by Urbain Bouriant (1849–1903). The translation of “Great Hymn to the Aten” in the following excerpt is by W. J. Murnane. It appears here as it is reproduced on pages 142-144 in C.N. Reeves’s Akhenaten: Egypt’s False Prophet, Thames & Hudson, 2001. For although you are far away, your rays are upon the earth and you are perceived. People, they lie in bedchambers, heads covered up, and one eye does not see its fellow. All their property might be robbed, although it is under their heads, and they do not realize it. Every lion is out of his den, all creeping things bite. Darkness gathers, the land is silent. The one who made them is set in his horizon. Shining in the disc in the daytime, you push back the darkness and give forth your rays . . .
Manifest, shining, far yet near. cities, towns, fields, the path of the river. Every eye observes you in relation to them, for you are Aten of the daytime above the earth. When you have gone, nobody can exist. You create their faces so that you might not see yourself as the only thing which you made. For you make him aware of your plans and your strength. When you have risen they live, but when you set they die. You are lifetime in your very limbs, and one lives by means of you. but all work is put aside when you set on the western side. Nefernefruaten-Nefertiti – may she live and be young forever continually. The experimental jazz of Sun Ra and his Arkestra was described contemporaneously as “music of the sun.” Fascinated with ancient Egypt, the artist Herman Poole Blount (1914–1993) began working under the name Sun Ra in the 1940s and developed a complex persona and mythology to go with it. Sun Ra was performing regularly at Slugs in NYC during the 1960s, when Otto Piene performed Proliferation of the Sun at Black Gate Theater; though it is unknown whether Piene attended Sun Ra’s concerts (the venues were less than a mile apart), Piene has stated that his "light choreography was determined by jazz." Here are presented two never-used cover designs for the album When Sun Comes Out, released by Saturn in 1963.